In the 1980s, a small conference was started in California focused on topics related to technology, entertainment and design. Now known by the acronym TED, what was once a small conference is now an international movement devoted to the dissemination of "Ideas Worth Spreading." The format is simple. Compelling speakers with compelling messages are invited to speak for between five and 20 minutes to a live audience. The talks are video recorded and generally posted online. 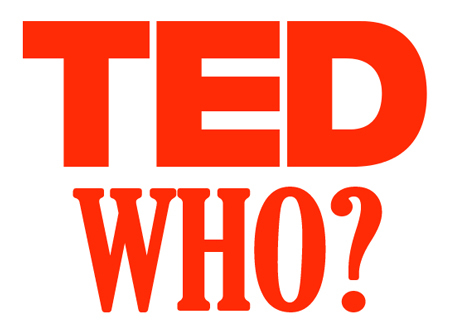 These online TED Talks have been viewed over one billion times worldwide. Some TED Talks are among the most popular educational materials on the Internet, and there is a lot that lawyers, litigators and litigation support professionals can learn from them. Whereas a PSY video may be the most watched video of all time on YouTube, TED Talks are the viral videos of the intellectually curious. While the TED Talks are a pricey conference to attend live, there are now TEDx events as well. These are locally organized TED Talks that are only loosely affiliated with the parent. On average five occur every day somewhere in the world in over 1,200 cities, and they are inexpensive or free to attend. I regularly attend TEDx talks that are close to me. They are inspiring, they are motivating, they are moving, and sometimes you even find a major law firm litigation partner speaking at one. I recommend you find one near you to attend. Here are 10 TED videos that I believe are especially helpful to lawyers, litigators and litigation support professionals. 1) Changing How You Are Perceived by Changing Your Body Language: Whether you are trying a case in front of a jury, negotiating a deal, or managing a litigation support team, how you are perceived will change how people react to your message. Oddly, it turns out that by purposefully changing your body language, you will not only change how you are perceived, you will measurably change your own body chemistry. 2) Inspire and Persuade Others by Speaking in this Order: If you see me speaking somewhere or if I am advising on the development of an opening statement, you'll notice that I follow the teachings of Simon Sinek. I have recommended his golden circle talk before, and I still think it is among the best TED Talks, because it is just so easy to implement. 3) How Lawyers Can Tell a Great Story (R-Rated): The writer of Toy Story, WALL-E and others reminds us of something critical to any trial presentation, "Make me care!" Learning to tell better stories may be one of the best skills a litigator can learn. Making an emotional connection with your audience is how you get them on your side - not by overloading them with facts, details and backup. 4) How to Structure a Great Talk: Nancy Duarte does a great job of explaining how to structure a good story and offers a format that can be applied easily to any brief, opening or closing statement. 5) Persuading the Rational Decision-maker: The speaker reminds us that decisions are made on emotion and justified on fact. This is true in sales, and it is true in the jury deliberation room. To persuade, we must trigger people's encoded memories and their emotions. Even if your role is that of litigation support on a trial team, it is critical to remind trial counsel of the importance of these lessons. Remember, you can always forward this article. 6) How Statistics Fool Juries: We've written before on topics related to statistics including the use of trial graphics to teach statistics for trial and statistical significance as it relates to litigation. For anyone making a Daubert challenge, this is an especially useful talk. 7) Negotiating Effectively from the author of Getting to Yes: He shares his journey of walking in the steps of Abraham and how it may serve as a model for Middle East peace. In the process, he reminds us of how to negotiate effectively as lawyers, litigators and litigation support professionals by looking at the third side. 8) Let's Simplify Legal Jargon: As a designer with a law degree and a passion for simplicity, my eyes open wide any time someone says they want to simplify legal things. Here, in less than five minutes, another designer who has spent some time in law school, Alan Siegal, shows how he simplified IRS notices and credit card statements. 9) Battling Bad Science and How Evidence Can Be Distorted: An epidemiologist reminds us of how science can easily be interpreted incorrectly. Since we often consult on litigation where human health effects are alleged, sometimes on a mass scale, I find this talk helpful. It reminds me how often evidence is distorted to try to create liability. 10) Harnessing the Power of Introverts: I saw former corporate lawyer Susan Cain speak at a conference recently, and I found her talk eye-opening. Not only did I re-discover some of my buried but natural introvert roots, but I learned better techniques for leading introverted members of my team. Whether you lead a trial team, a litigation support group or a law firm, this is an important talk to hear for leaders. I hope you've enjoyed the videos. If you've watched a number of them, you'll notice a similar presentation style. It's one that you might compare to a Steve Jobs keynote, or like that of Garr Reynolds, or Cliff Atkinson would follow. This style is one that I want to see more litigators embrace during opening and closing arguments. Notice the lack of bullet points throughout the presentations. We wrote about avoiding the use of bullet points in July, and it has been one of our most popular articles ever. And I don't think a TED Talk is all that dissimilar from an opening or closing statement.